Harvest of The Month: Popcorn! At Jefferson we have focused on tomatoes as our September harvest of the month veggie. Now, it's October and we are celebrating Farm to School Month. 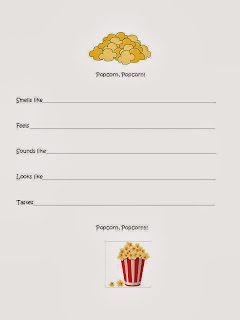 We have some after school programs that we are hosting that celebrate the apple and popcorn. We harvested our popcorn today. Take a look at our harvest. With the husks we made corn husk dolls to take home. We are letting our popcorn dry so that we can give them to our teachers to use for our award day fun. We used the book Popcorn for some fun facts. I even included a fun unit at my TPT store and a sheet for you to use if you would like. I used the sheet with my littles in 1st and 2nd grade. Hope you enjoy!